Vandy Vape is at it again! 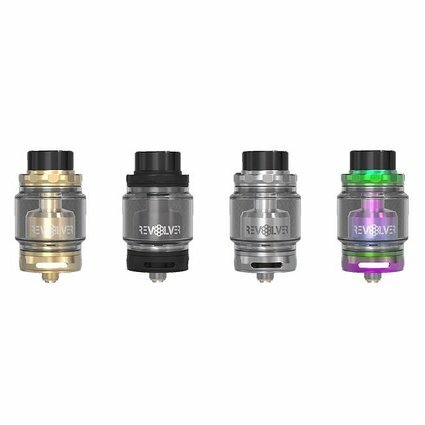 The Revolver RTA has unique 120-degree revolving airflow design with different air hole types to choose from! The convenient top filling system is easy to use. The 25mm diameter makes it compatible with most box mods. This RTA features a single coil building deck that has the innovative adjustable built-in air hole. You can rotate the usual external screw to adjust the built-in air hole to get the best flavor. The detachable structure is easy to clean making it a great choice!